The great Northwest tradition continues. If you love outdoor adventures this is the place to be. 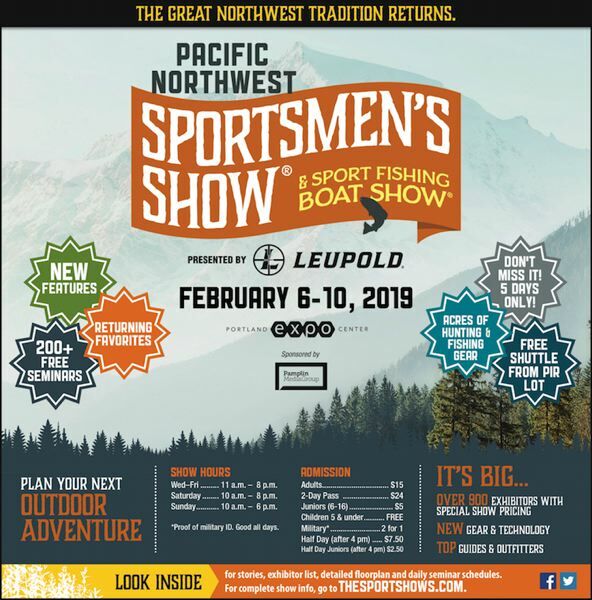 The 2019 Pacific Northwest Sportsmen's Show is bigger and better then ever and roars into the Portland Expo Center starting next Wednesday and continues through Sunday, Feb. 10. Presented by Leupold, the Sportsmen's Show is a family-friendly event that features more than 900 exhibits and offers the best in fishing, hunting and outdoor recreation. In fact, the show has grown so large that event organizers have had to add space using a huge tent to help house all the attractions.